Why choose Brand Core Media as your website development company in Ahmedabad? Web development is one of the core requirements for any organization to precede good internet marketing practices. We at Brand Core Media, as proven Web Developers in Ahmedabad optimize leading edge technology and best practices. Web development is one of the most important prospects of internet presence and we are dedicated to provide best of the art with cutting edge technology for your brand and business in Ahmedabad. 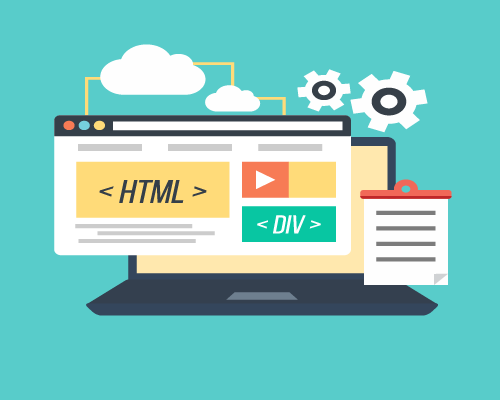 As an Ahmedabad web developers we understand that a perfect website can only be consider if it succeed to perform on fronts. We design and develop website that not only looks good but backed with latest technology, error less codes and bespoke content management system (CMS). Our websites also posses best of communication tools with social media integration and more. We also design and develop e-commerce website that not only looks good but also performs well for online sales and lead generation. Our web development services comes with server hosting with secure server level encryption to make sure all your data keeps safe online. Brand Core Media works with exceptional overwhelm of customers for the designs and programming that we have created for them. Our overall process as an website developers from the Ahmedabad city classically defines the information architecture, observing and classifying the customer profile, decoding the competition and analyzing KPI of the online business prospective and creating website and other online entities that not only speaks for your brand but works as an sales professional as well. We are not the company that works on a freelance basis but we are a team of website developers and programmers who are passionate for their work and take proud for result achieved. The most sought after goal of our website design process is its readiness for search engine optimization. We work with certain predefined rules for making our client more comfortable and allow them to invest exactly the money they should invest for making a website. We never oversell our services. We also do not offer the technology that our customers do not require or that may not be directly or indirectly applicable to their business. As one of the most sought after Web Design Company in Ahmedabad, Brand Core Media delivers bespoke website design solutions that are accountable for increased ROI. Our process as proven website developer is hired by some of the best brands and professional based in Ahmedabad and around the world. There are several parameters that differentiate mediocre from the good web developers and amongst them how good website you can deliver that Google likes to crawl and support to rank it well on front page. We create websites with considering search engine optimization as priority and follow all the set rules assigned by the search giants Google. Also our website are future ready. We provide web design and development services with custom Content Management System (CMS) that not only allows you to manage website by your own but also support future changes as well. We design website from the scratch and support the customers’ needs that they are looking to get from their website. We also provide detailed training on how to operate CMS for add, editing and deleting details from the website. Our websites are responsive and mobile friendly. Also we consider the smallest thing like how much time a website is taking to load on the different devices and how easily visitors can find the exact details that they are looking for. As an E-Commerce web developer we consider many things like creating and optimizing landing page and product page, creating website with multiple product listing features, designing custom shopping cart software and backed website with secured security system for online transactions. To check how we can help you for your next web development project; contact us today. Hello! Brand Core Media is a professional website developer in Ahmedabad with an experience and expertise of developing website for different verticals and critical technology. We have provide website development service for many of the famous brands and corporate houses in Ahmedabad and around the world. Our website design is bespoke, easy to navigate, secure for online payment and comes with CMS that allows you to self manage your stuff with ease.